American Cut is LDV Hospitality’s new American, signature steakhouse, brought to life by Iron Chef Marc Forgione. With locations in New York’s Tribeca neighborhood and at the stunning Revel Resort in Atlantic City, NJ, diners seeking an exhilarating culinary experience filled with prime cuts and unique menu offerings will not be disappointed. Both spaces combine modern design with art deco accents culminating in a monumental space filled with fine food, spirits and culinary prowess. 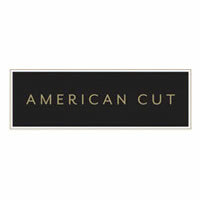 Of Note: The name American Cut is an ode to An American Place, the iconic restaurant founded by Marc’s father, famed chef Larry Forgione. American Cut spotlights Marc’s rock and roll personality with a show kitchen offering diners a glimpse into the action and a front row seat to watch Marc’s signature Tomahawk Rib Eye Chop, a show stopping 28-day dry aged 48 ounce steak, being ushered out of the wood burning oven.